The famed Antica Pizzeria da Michele of Naples opened a location in Florence in early May. Located at Piazza del Mercato Centrale, 22R, the Florence pizzeria will follow the same formula that has won it acclaim in Naples. 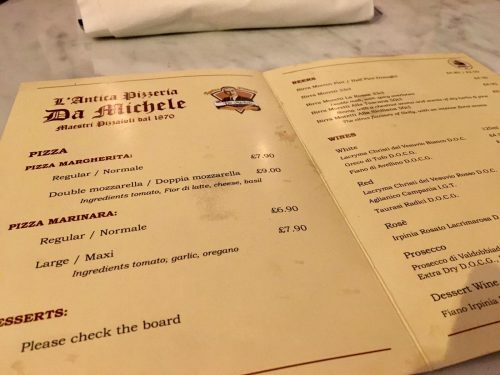 This means they only serve margherita and marinara pizzas (don’t try to ask for anything else, including extra cheese, pepperoni or mozzerella di bufala), as well as offering the same wine and beers that are served in the original pizzeria. 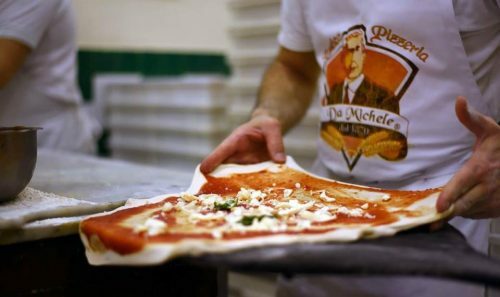 Reportedly serving 3,000 pizzas per night at the original Naples flagship location (in Via Cesare Sersale), where a line snakes down the street, da Michele has been the destination of pizza purists from around the world. Florence can now enjoy a taste of Naples. The Condurro family has served the same recipes since 1870 from the same location since 1930. The opening in Florence follows those in Milan, Rome, London and Barcelona, as well as in Japan (Tokyo and Fukuoka). 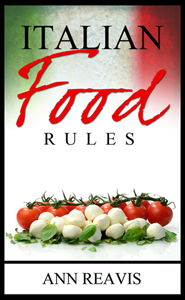 There is even a book (only published in Italian): “L’antica pizzeria da Michele. 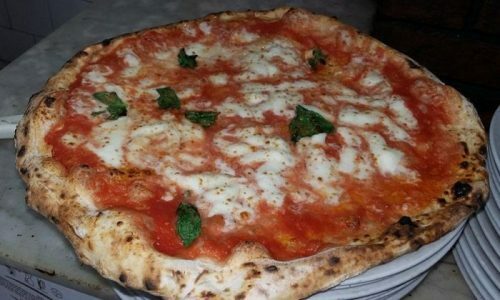 Dal 1870 la Pizza di Napoli.” Written by Laura Condurro one of the great-grandchildren of Michele Condurro, “Michele” of da Michele. She details the history of the Condurro family who for over a century has been able to preserve flavors and respect the quality of a typical and irreplaceable product of the Neapolitan culinary tradition, which has not allowed the “papocchie” (messes) that have nothing to do with the taste of authentic pizza.